The LAG T100DCE is a refined instrument that meets today’s demands with spirit and vitality, offering old-world construction techniques combined with state-of-the-art pickup and preamp designs that will project your sound to larger venues and audiences. A beautiful guitar in glossy black and dark wood finish. Sounds as good as it looks. 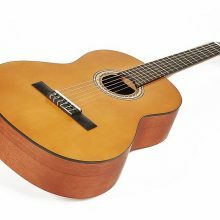 Categories: Acoustic Guitars (Steel String), Acoustic/Electric, Guitars.